This week, Gayle and Nicole talk about the upcoming spring books that they are most excited about reading. There are a lot! And there’s something for everyone on this list. 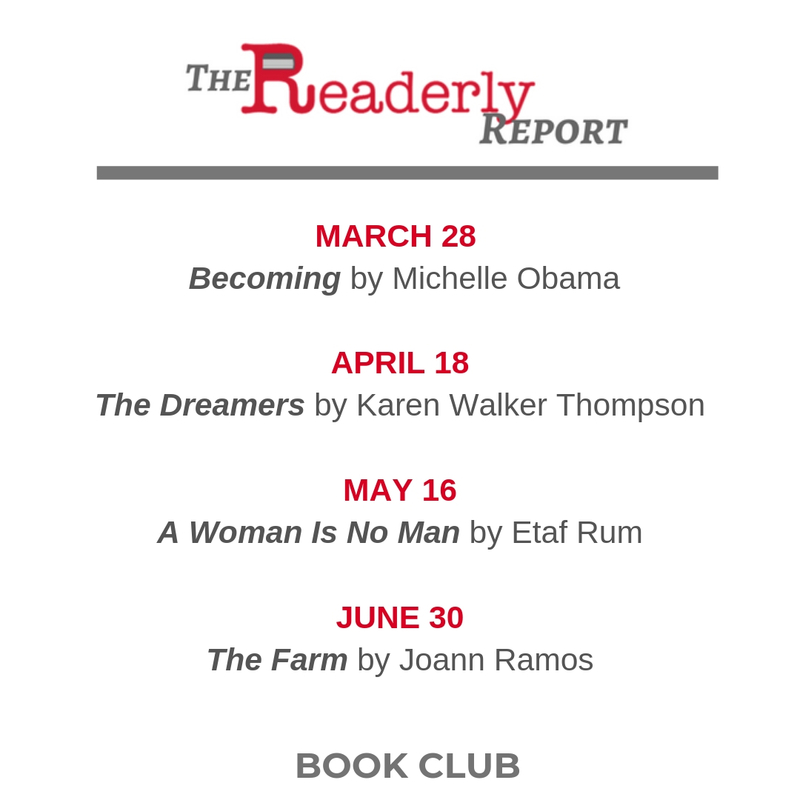 We also reveal our upcoming book club schedule. We are so excited to announce the first ever Readerly Report March Book Madness competition!